Developing psychic ability should be fun, fulfilling, and stress free. We have enough stressors in our lives (like watching nail-biting episodes of Empire!) and awakening our intuitive abilities shouldn’t be one of them. Here are some playful ways to strengthen your intuitive gifts. Developing psychic ability can be superbly fun or just – eh. Did you ever see the movie Christmas with the Kranks, where a couple decides to ditch throwing a big Christmas party and go on vacation instead? Jamie Lee Curtis’ character was ALL stressed out, feeling guilty, and wondering if she was doing the right thing by choosing a cruise over Christmas. But her husband was relaxed and having a great time preparing for the trip. He even got a spray tan and Botox injections – OMG hilarious! In the end, they decided to stay home when they found out their daughter would be visiting for the holiday, but the point is – Tim Allen’s character had lots more fun than Jamie Lee’s! When you are developing psychic ability you can be Jamie Lee or Tim Allen. In my book, fun beats stress and overwhelm any day! 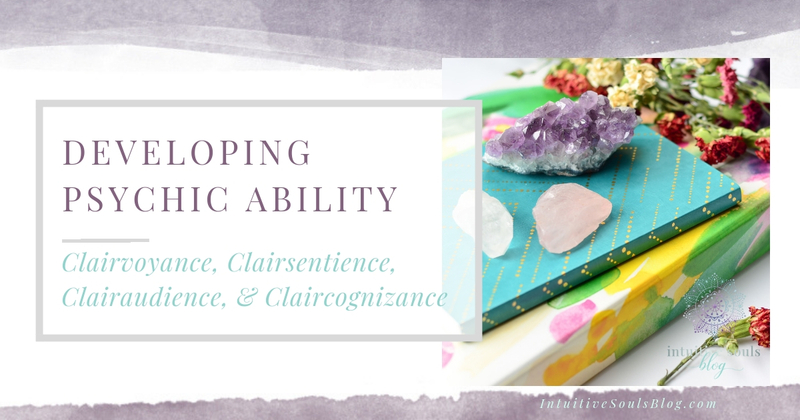 No developing psychic ability list would be complete without talking about the daddy of all intuitive gifts – clairvoyance (psychic seeing). In your mind’s eye, imagine your dream home – in glorious detail. I’m talking Joanna Gaines detail… What color are the walls? The furniture? Is there crown molding? Is there a teal sofa with a tufted back and orange chevron pillows in your office? Is Sofia Vergara visiting? Perhaps she’s showing you the script from her next movie as you giggle, “Oh Sofia, you’re so funny!”, while sipping caramel lattes from mugs that say “I ROCK”. Take 10-15 minutes each day and imagine it all playing out in your head like a movie. The more details, the better! Imagine your friend’s aura. What does it look like? Is it big, bright, and beautiful? Aqua? Yellow? Use your colored pencils and color the aura around your drawing/stick figure. Take a selfie, then put your phone on a piece of paper and color your own aura around it! 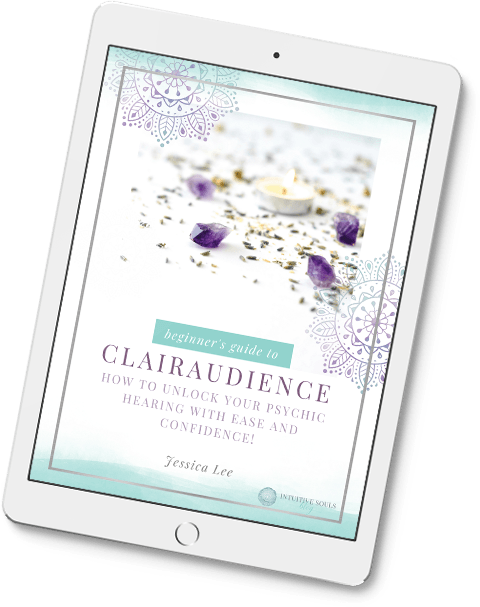 What’s the first step to develop your clairaudience (psychic hearing)? Begin to listen. Yes, we are keeping it super simple because simple works. Guidance from our Higher Selves or Spirit messages are usually very subtle. So training ourselves to notice subtle sounds can amp up our clairaudience big time! Think about it. Life is loud and busy. How can we expect to hear Divine messages when our teens are overloading the dishwasher with too much soap, our cell phones are constantly chiming, and Dora the Explorer is playing at volume 60 in the background? Let’s turn it around and use this noise to our advantage. Instead of tuning OUT all the noise, allow it to come IN and help in developing psychic ability. What do you hear right now? Can you hear someone playing a game or texting on their cell phone? Do you hear music in the background of Dora the Explorer that you never noticed before? The cool thing about this psychic development exercise is that you can use it to fill time while waiting in a car, or at appointments! Some evening, grab a blanket, and lay with your kids under the stars taking turns identifying all the different night sounds. So much fun, and a neat way to make memories with your family! In my opinion, clairsentience is THE most fun intuitive gift to develop of all! If you’re clairsentient, you receive intuitive information through feelings or vibes/senses. Oh, and remember, many clairsentience are empaths and can feel the emotions of others. If people often tell that you’re “too sensitive”, you might actually be an empath. This list will help you sort it all out. Are you familiar with psychometry? It’s a fantastic way to kick your clairsentience up a notch or ten! Psychometry lets you “tune into” the energy an object by touching it with your hands. It’s like learning to ride a bike and having the support of training wheels. Voila, an easy way of developing psychic ability! 1. Ask a friend to give you some objects to use for practice. 2. Jewelry works great for newbies, especially jewelry that’s been worn a lot and holds lots of energy. Don’t borrow your mom’s new earrings that she just got at Kohl’s – they won’t have much energy on them. 3. Sit down and get comfy. Rub your hands together to get some energy flowing. If you’re hands tingle a little, that’s good for this exercise. 4. Hold the jewelry, and close your eyes. Go within. Do you feel any emotions? Do you see something in your mind’s eye? Hear “blocks of thought” in your head? Does a man or a woman own this object? Is he or she happy or sad? Does this person have a job? Ask anything you want – go wild! Don’t worry about being right or wrong. The point of this psychic exercise is to get used to sensing energy. Tip: Another way to do this exercise is to visit an antique store! And here’s a full post on psychometry with more info and tips. For this game, you’ll need a partner. It’s a fun game to play with kids, too, even though they always seem to win! 1. Grab a smallish item from around your house. If you’re playing with little kids, their “blankie” can be a good choice because blankies hold lots of energy. Have someone in the family hide the object while you step out for a minute. 2. When you come back inside, stand quietly and ask yourself to FEEL where the object is. Imagine a great beam of light connecting you to the energy of the item. in the basement? Bedroom? Bathroom? What Does it Feel Like to Have a Clairsentient Experience? Developing psychic ability can be enjoyable and creative! You don’t have to become a master overnight. Just like developing physical muscles, small steps done frequently will build your intuitive muscles. Curious which natural psychic abilities you have? Then you’ve got to read this! Wondering the first signs of psychic ability? I’ve got you covered here. As a Priestess and Artist, I have lived these past 20 years as a Shrine Keeper for Orisha, Select Heads of First Rank; Repositories of Sacred Knowledge and Power. Using the Oracle, I query the Spirit World to answer questions from you about ” What you most need to know now, Love, Career, Relationships, Finances, Travel-Relocate, and Spiritual Development”. I’ve done readings for 30 years. That very interesting. I too believe the we all can harness and develop are psychic gifts in some degree. Of course it easier for some people, but we’re spritual beings. More people shoudl know that. Also! Do you have a post about a list of validation points you wrote on a paper and opened each time in your first sessions: it showed what spirits could give you to identify them? I read a few blogs so I can’t remember if it was yours or Amanda’s! I can’t seem to find it either. Thanks so much! Love and Light!! Since few months back, I feel something very different which is not been happen with the normal human being. I feel some thoughts in my mind, I feel some information in my mind. Some times, I understand what is going on in the heart/mind of the person sitting in front of me. Sometimes, I feel to see my future which comes in my mind and giving assurance to me that, it is a future day. Since, I am unable to remember those moments, So I try now to note those words, incidences, Thoughts, etc. in the book. I am so much confused about this and when I discuss with someone, they always demotivate me and said “what rubbish is this?”. So now I never discuss with anyone more. When i read so many blogs from you, then I recalled the things which happens with me. Can you please help me out, what is this???? and Whats should I do…..? I am trying to understand the things but there are so much facts which can be mixed with each other and confusing me. My youngest son recently passed suddenly and now I feel all these different feelings and hear things. I’ve always felt people were around me, like I can almost see them. The post you put on here make me feel like I’m not crazy. Seems after reading everybody’s posts I’m not so different. Thanks for all you share.